Can't find what plumbing part you need? Let our technical support experts identify your plumbing repair parts for you! If you are reading this right now we assume that you have a plumbing fixture that is not performing properly. You may have a dripping American Standard bathroom faucet or a very old Crane toilet that will not stop running. Perhaps you want to restore a vintage bathroom or kitchen but are not sure if their hard-to-find plumbing replacement parts are still available or have been discontinued. Typically, most of us will run to our computer and search the Internet hoping to identify the exact plumbing part we think we need. If you are fortunate enough to even find the part, how can you accurately verify that it’s the part that will fix your plumbing issue? At times, it feels like the search is a dead end and you have nowhere else to turn. What you need is an Authorized Genuine OEM plumbing parts distributor that will provide great customer service, identify the repair parts needed and provide a solution to put the plumbing issue behind you. Welcome to the Chicago Faucet Shoppe. We are the only brick and mortar web store that has been providing this service since 1954. For years, we have assisted plumbers and DIYers living in Chicago and the surrounding suburbs fix most any plumbing problem. We now provide that same technical service to our online customers all over the world. 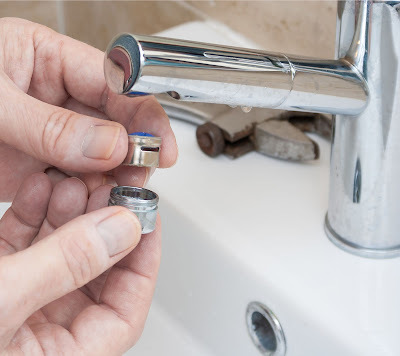 There are many questions you might ask when a plumbing fixture is no longer working properly. The first step we take is to identify the problem you are having with your fixture. Our technical support staff will ask a series of questions to familiarize us with the situation. Once we discuss the plumbing issue, we can help identify the possible source of the problem. Our patient staff will take their time, walk you through what might be wrong and then specify a solution. Once we have identified the source of the issue together, you may be asked to email a digital image or video of your fixture and/or parts to tech@chicagofaucetshoppe.com. This image or video provides our technicians a first-person view of the fixture. This step will help us specify exactly the manufacturer, age and specific plumbing repair parts you will need. Luckily, our years of experience take the guess work out of the equation. 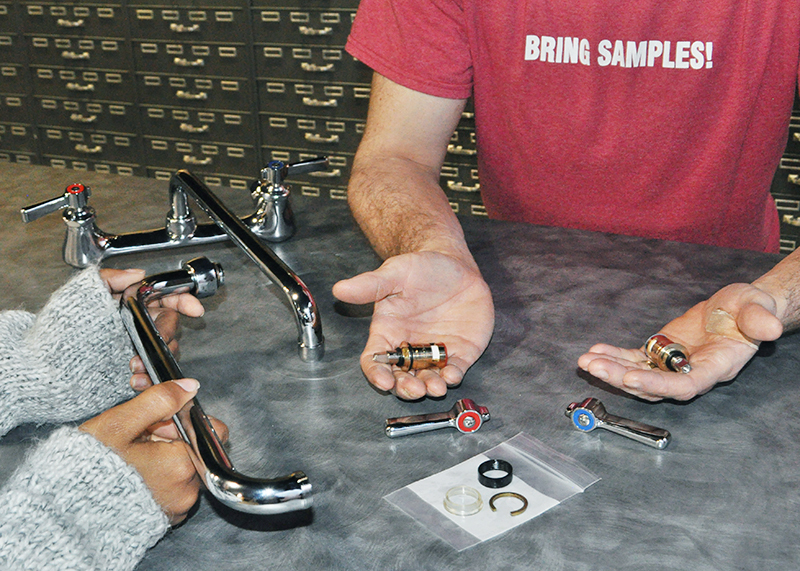 Our technicians at Chicago Faucet Shoppe take immense pride in delivering customer service and expert technical advice. The accuracy it requires to specify the correct part is not simple, however, we strive to get it done efficiently the first time around. In fact, we are so confident in our team’s expertise, Chicago Faucet Shoppe is offering 10% off the first order we specify. If for any reason we’re wrong, we’ll happily exchange the part – no questions asked. Call us today and we promise to turn your plumbing problem into a plumbing solution. You do not have to deal with your plumbing issue alone! If you need assistance with your plumbing parts email or call our technical team today!